Smith’s has opened a new $27.3 million Smith’s Marketplace store at Skye Canyon, 9710 W. Skye Canyon Park Drive in Las Vegas. This is the first marketplace store in Nevada and will add 275 new jobs to the area. Chris Witt, who holds over 17 years of experience in the grocery industry, will serve as Store Director. To celebrate the grand opening, Smith’s donated $10,000 to the USO Las Vegas for its annual Red, White and Blue BBQ. 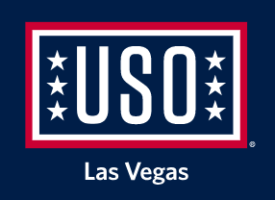 USO Las Vegas serves America’s military service members by keeping them connected to family, home, and country, throughout their service to the nation. 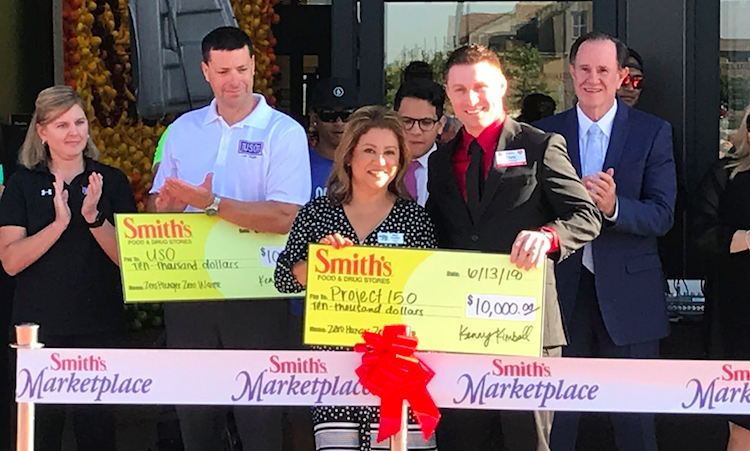 In addition, Smith’s donated $10,000 to Project 150, a local nonprofit that provides basic needs and supports homeless high school students in southern Nevada. Smith’s also donated $20,000 to Three Square Food Bank to support the food banks mission of ending hunger in our shared community. The 125,000 square foot multi-department store offers complete grocery items, along with apparel, housewares décor, toys, hardware, and small kitchen appliances; a wide assortment of natural, organic and specialty bulk foods; seasonal products and a vast selection of fresh floral choices. Smith’s dine-in food fare serves Starbucks coffee, fresh sushi, Murray’s gourmet cheese, a full-service bakery featuring RubySnap cookies; a Chef Shop featuring ready-to-eat salads, entrees and vegetables; grab-and- go meals provided by Cousin’s Main Lobster, Chicken Co. and Boar’s Head Sandwiches to be enjoyed in the large customer seating area. In addition, the store features a two-lane drive through pharmacy, electric car charging stations, and an on-site Smith’s Fuel Center. A specially commissioned art mural, designed by local artist Joseph Watson, hangs in the store’s window-spanned dining area, and portrays the combination of warmth, depth and natural beauty featuring a beautiful layered landscape the Nevada desert. Las Vegas customers will have the opportunity to order from more than 40,000 items online or with their mobile device and choose to pick up their order curbside or select home delivery on the same day using ClickList. Special order pick-up parking is in a specially marked area of the store. As part of the company’s bold Zero Hunger | Zero Waste initiative, Smith’s has implemented energy reducing technology through heating, cooling, water, and lighting. Freezers and coolers are lit with more efficient LED lights. Smith’s diverts waste from landfills by reducing packaging design, recycling plastic, or donating safe, perishable foods to Three Square Food Bank. During construction, Smith’s required the builder to recycle 90% of the project’s total non-hazardous waste such as scrap wood, metal, cardboard, concrete brick, and plastic. Smith’s Food & Drug Stores is a division of the Kroger Co. (NYSE:KR), one of the nation’s largest retail grocers. Today Smith’s operates 142 stores in seven western states including 46 in Nevada. For more information please visit www.smithsfoodanddrug.com.